Home » » Gallant Soldier Crushed To Death In Fatal Accident While Discharging His Duty. Gallant Soldier Crushed To Death In Fatal Accident While Discharging His Duty. 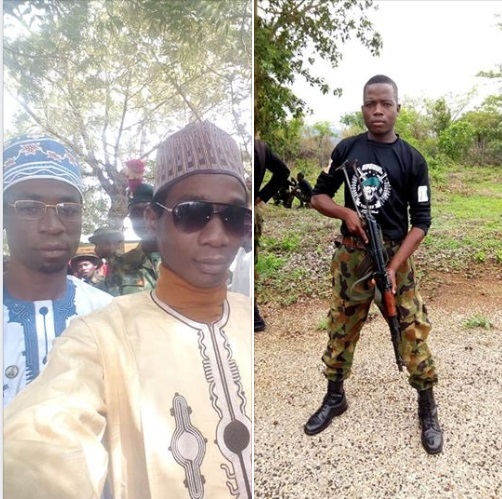 The family of Mallam Muhammad Yawale have been thrown into a state of mourning following the untimely death of their son identified as Salisu Muh’d Yawale, a soldier who died in line of duty. It was gathered that the dead military officer passed away on 30th October, 2018 after being involved in a fatal motor accident along Maiduguri-Kano Road. Before his death, he was serving under Nigerian Army in Borno State.